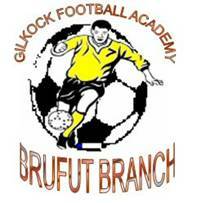 Iain Kitchen a British national accompanied by friends and family members on Saturday February 2nd visited the Brufut base Gilkock Football Academy at its training ground in Brufut. Iain who was introduced to the academy by the Garforth family resident in Brufut last year donated football materials worth thousands of dalasi. In his welcoming remarks, the academy's Secretary and Public Relations Officer Mr. Sang Mendy express delight for receiving such a high powered delegation. He noted that it is important that Iain came to see the academy himself as this has enable him to access the academy before he took the visitors on a conducted tour of the limited materials of the academy and the boys at their various playing grounds. Iain on his part also thank the academy for a job well done and urges the coaches to continue the good job started. He mentioned that he is impressed with what he saw and therefore pledges to give more assistance to the academy in the future. He continued by saying "when I get back to England, I will do my best to get the academy more materials as I can see you need more and standard materials to develop football here'. In his vote of thanks goal keeper trainer coach Alieu Sanneh commended the Garforth family for bringing them a true friend like Iain and prayed that the relationship continues to benefit both parties and hope that the relationship grows to be a by-lateral relationship in the future. Before he departs, Iain donated some football boots. On a separate event, Mariejore Garforth donated a football and a pair of football shoes to the academy on behalf Amy, an eleven year old British who is keen in seeking funds for the academy back in the UK. On Saturday February 9th was a day set aside for the annual trials of the Brufut base Gilkock Football Academy reveals Sang Mendy, Secretary and Public Relations Officer. Speaking to journalists Mendy said "this annual trials is to beef up the academy but the reasons for it coming so soon this year is due to the high demand from a cross section of people from Brufut and its surrounding. " I was stunned with the number when I showed up at the field but I know this will provide the coaches with the opportunity to add some new players to the ones they already had". Also speaking to journalist, Gilkock’s inspirational player Ebrima Jatta alias E.J reveals that "this turn out shows that the academy is on the right track" and seizes the opportunity to urge incoming players to be prepared to learn and be patient because it will take some of them time to adapt to the system. Addressing the player after the trials, tired looking Ebrime Bojang singled out the difficulties in such a process before thanking everyone who came to try their luck noting "amongst you only a few are selected but when you are not lucky this time, don’t lose hope go home and continue training before next year. He warns the selected ones not to assume that they are absorbed in the academy as the screening process continues in the coming weeks. Out of the number, only 165 were selected but out of these also only about 50 or 75 will be enrolled finally. Following in the footsteps of Ebrima Jatta alias E.J of Hawks F.C and the then Under 20 side that traveled to Canada for the FIFA World Youth Championship last summer, Ebrima Bojang of the Brufut base Gilkock Football Academy appears as a debutant for Real De Banjul on Wednesday February 27th 2008 in their first game in the bid to defend their title as defending champions of the Gambia Football Association First Division League. Young Ebrima, a defender by nature, joins the Banjul outfit last season but couldn’t feature in the first team during the league. He was as well sitting on the bench for Real in the Super Cup tie they lost to GambiaPorts Authority by a lone goal. Bojang in his debut played the entire game. As a young defender he was instrumental in defense, playing against a formidable side Gamtel with top class strikers. ‘I was nervous when I was called in the first eleven but I took it as challenge, knowing that my coaches trust in me and wants to give me a chance. This is what served as a motivating factor for me. And also playing in most of my teams pre-season games, I think my technical staff have confidence in me that’s why I was given the chance today. It wasn’t easy for me but I held my nerves to finish the game on a fine note’, said Ebrima. On his part coach Sang Mendy of the Brufut base academy who watched Ebrima on his debut game hailed the lad saying ‘I watched the lad carefully with nervousness but to be honest I was very impressed with the lad’s performance. He played well and concentrated for the whole game without committing many mistakes despite playing against great strikers like Kabba Jobe and Karamo Fatty of Gamtel. Mendy was quick to reveal that he was not surprised with Ebrima as he is a player who plays to instruction. He went further to note that when Ebrima Bojang is given the chance, he will rise to be an asset for real de Banjul in the future.